If you plan on hitting the beach this summer, you’re going to need more than just a large bottle of suntan lotion to look your best on the shore. 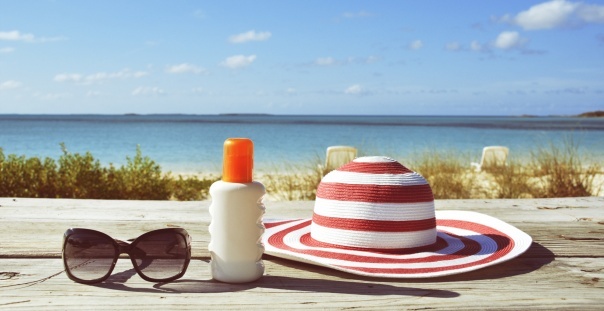 In addition to SPF makeup and moisturizer to protect yourself from the sun, there are a few other key items you should include in your beach bag. Because you’ll likely be taking a dip in the ocean, Real Simple magazine claims that you’ll want to have waterproof mascara on hand to make sure that your peepers always look beautiful when you’re a little wet. A moisture-proof formula also ensures that sweat won’t cause your makeup to run under the sun. Both your scalp and your luscious locks can get burned under the scorching sun. AOL recommends bringing a sun hat along for your trip for the utmost protection. Your burn-free scalp will thank you for wearing it later! The salty air can quickly dry out your plump pout while you’re near the sea. Make sure to include an SPF lip balm in your beach bag to keep your lips hydrated, protected and silky smooth. Lia is a self-professed beauty and skincare fanatic from North Andover, Massachusetts, who's always looking to see which trends will be hot next and what products are the most effective. From lipstick to eyeshadow to nighttime moisturizer, she's constantly lusting after new arrivals and adding them to her must-try list. After checking out numerous products and reading up on the latest trends, Lia's become a beauty expert who can guide you through the ins and outs of makeup and skincare. My favorite beauty product is... - Lip gloss. I can never seem to get enough. Can't leave the house without my... - Moisturizer. I feel so dry without it! I would describe my style as... - Casually done-up, with glamorous looks for nights out! Previous Post Do You Know How To Create A Flawless Faux Tan?